Today I have swatches of three nail colors from Maybelline. 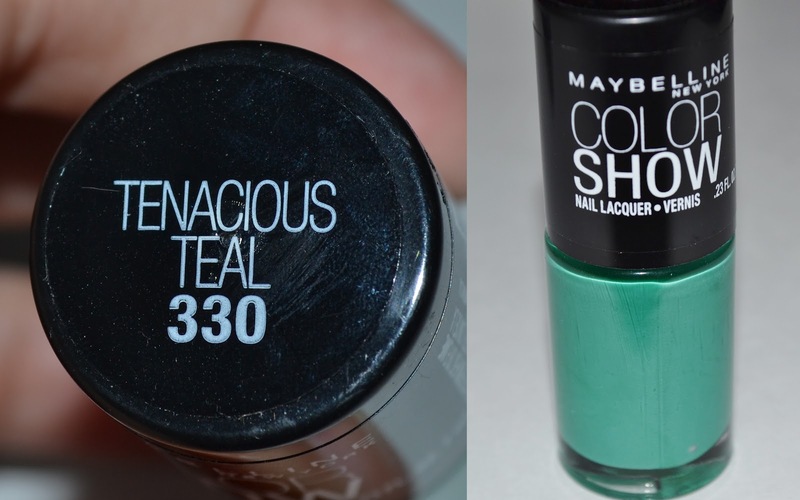 These polishes are from the new Color Show collection which I recently spotted at Wal-Mart. These are only $2.99 each and amazing for the price! 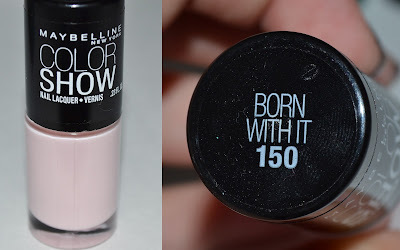 There are 30 different shades, and a lot of them are bright and bold, perfect for Summer. I have so many bright nail polishes, so I ended up with these more neutral (some might say boring) shades. I personally love these colors! The swatches on the nail wheel are 3 coats. See swatches and more pictures below! Let me know what you think! Will you buy these? I would buy each one of these! Pretty colors! You want to hear something REALLY weird? All of these names have been used before. 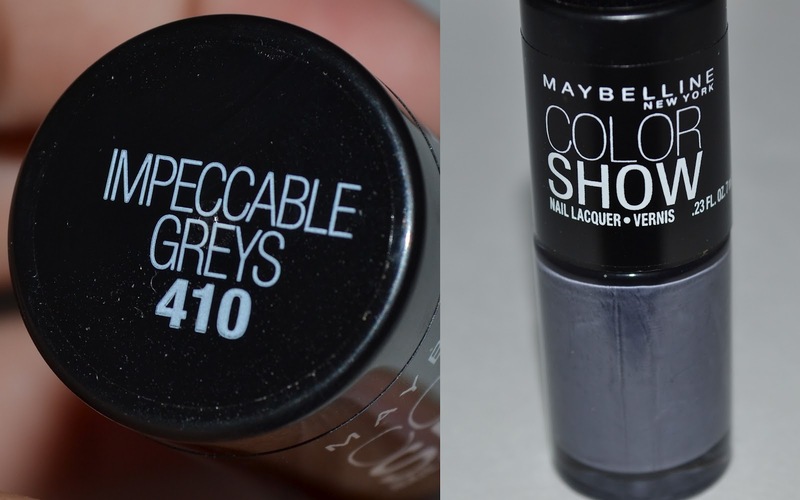 Impeccable Greys is a Maybelline eyeshadow trio, Tenacious Teal is a Maybelline color tattoo color, and Born With It is a Maybelline Color Sensational lipstick color. Weird! You know what? I'm glad you said something because I kept thinking that those names had been used before. 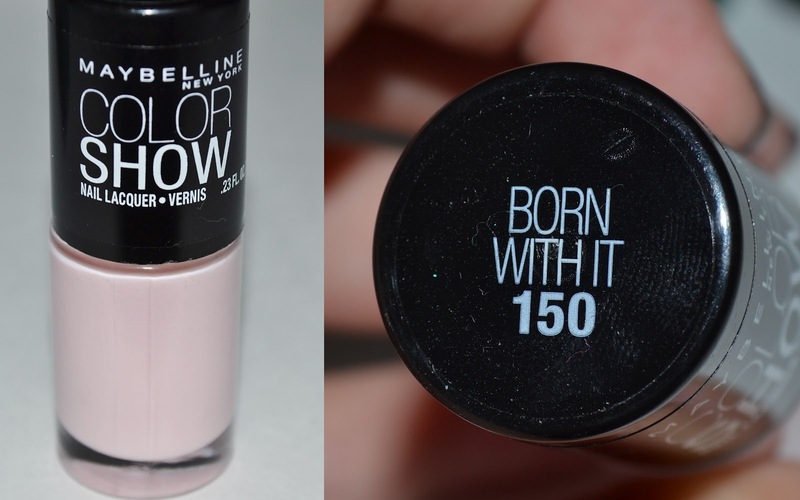 I remember the Born With It lipstick and the color tattoo. I kept thinking, these sound familiar. Guess they didn't feel like making new names?